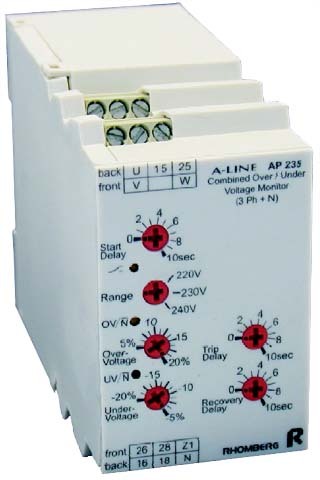 Monitoring of own supply voltage (3 phase). 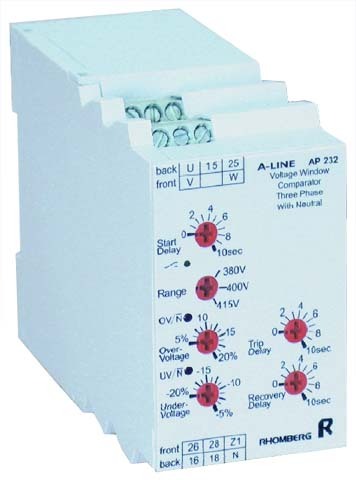 Separately adjustable setpoints: over-voltage, (5 to 20%) and, under-voltage (-5 to -20%). Separately adjustable response times on trip & recovery (0.1 to 10 seconds). Adjustable start-up delay for disabling latching 0.1 to 10 sec. Selectable latching (ie manual or auto reset). 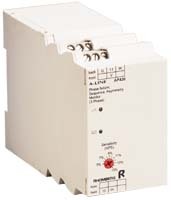 LED indication of Relay ON and fault type. 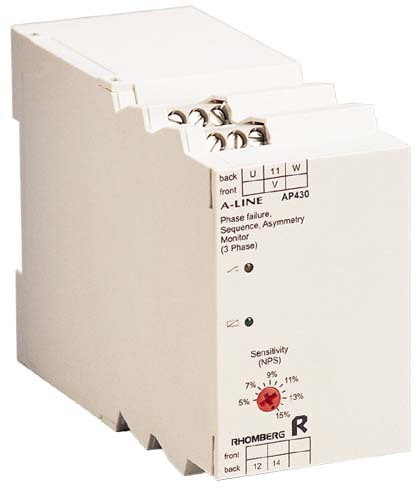 Monitoring on three phase supply. 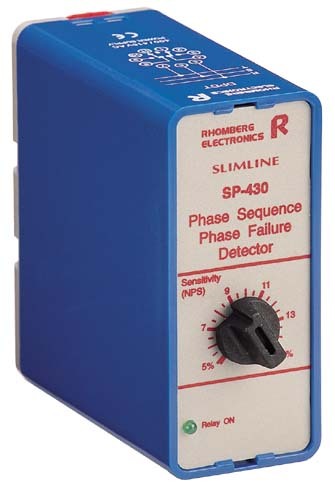 Sensitive to: NPS Voltage, Reverse phase sequence, loss of phase, phase imbalance, phase asymmetry.